Brand new original remote controls for TV DVD Blu Ray Audio and much more. Original brand new remote controls! Replace the remote control that came with your unit. Has your remote control been damaged or lost? Programming isn't required for your new remote control. All buttons will match your specific model. No programming required when your remote control batteries go dead. Brand new remote controls, TV, VCR, Audio, DVD, Home Theater, Air Conditioner, Ceiling Fans, Computers, and more, wholesale pricing. Brand name TV remote controls including Admiral, Affinity, Akai, Allegro, Alpine, Amana, AOC, Apex, Aspect, Audiovox, Bell & Howell, Broksonic, Celera, Citizen, Coby, Comfort Aire, Contex, Converter Box, Crosley, Curtis, Curtis Mathes, Cyberhome, Daewoo, Danby, Delonghi, Denon, DirecTV, Disney, Durabrand, Dynex, Electrohome, Element, Elite, Emerson, Envision, ESA, Fisher, Friedrich, Frigidaire, Funai, GE, GFM, Goldstar, GPX, Haier, Hampton Bay, Harbor Breeze, HEC, Hisense, Hitachi, Hiteker, Hughes, Hunter, Ilo, Initial, Insignia, Integra, iSYMPHONY, JVC, Kenmore, Kenwood, Konka, Lextron, LG, Mag Innovision, Magnasonic, Magnavox, Marantz, Memorex, Mintek, Misakai, Mitsubishi, Montgomery Ward, Norcent, Olevia, Onkyo, ONN, Orion, Panasonic, Philco, Philips, Pioneer, Polaroid, Portland, Presidian, Prima, Prive, Proview, RCA-Proscan, ROKU, PYE, Quasar, Royal Pacific, Samsung, Sansui, Sanyo, Sceptre, Scott, Seiki, Sharp, Sony, Soyo, SuperScan, SV2000, Sylvania, Symphonic, Syntax, TCL, Tivo, Toshiba, TruTech, Venturer, Viewsonic, Viore, Vizio, V7, Westinghouse, Whirlpool, Yamaha, Zenith. We also stock brand new Universal Learning remotes. 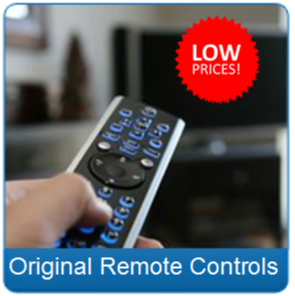 Need original TV remote controls, or DVD or VCR remotes or TV/VCR or TV/DVD remote combos, check our huge inventory. Need an Air Conditioner Remote or a Ceiling Fan Remote? Cannot locate your remote control, please contact our toll free remote control help line for assistance. 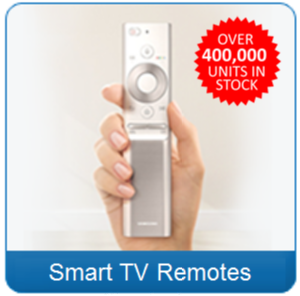 Need a remote controller, or a TV control? Our customer service department will gladly assist you with locating the remote control you're looking for! Most orders shipped the same day the order is placed, or the following business day. 100% No Questions Asked - No Hassle - 30 Day Money Back Guarantee on all units sold! Remote Controls New Remotes, Inc. Electronic Adventure © 2003-2019 All Rights Reserved.